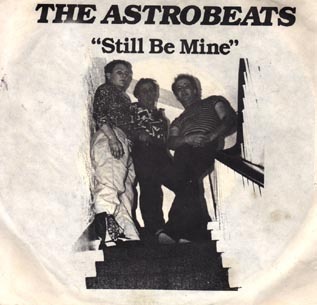 7" Vinyl "Still be Mine"
The Astrobeats were formed in the fall of 1980 with Ron Sutfin on bass, Kerry Miller on drums, and John Pascale on guitar. The 7" single "Still be Mine" b/w "Tight Jeans" and "Some Son" was released on the bands own Screwloose Records label. The band was known to play a lot of keg parties and once played at the Rollerland rollerskating rink in Hamden CT. They also played a few shows at the infamous New Haven punk club "Ron's Place" (no relation). The single is still available by emailing me on the link below.